Is your workplace a business recycling star? 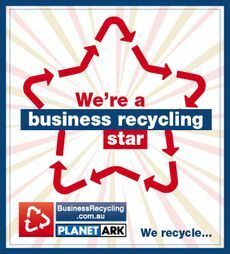 Let your customers know: share our BusinessRecycling Star graphic on your Facebook page! If your workplace isn't a star yet why not get some inspiration from our case studies of businesses doing amazing things and download the Choosing the Right Recycler Checklist.